How many Convoy Jammers are needed for convoy security? This is a question that troubles those responsible for getting their fleet vehicles from one location to another in hostile lands. The threat of attack by RCIED weapons, also known as Roadside Bombs is high in many countries. The Convoy Jammer is a solution to RCIED Defeat; yet requires some knowledge about RCIED Defeat that HSS Development is well versed in. Since the late 1970's, we have had experience countering remote controlled weapons, with the introduction of the Bomb Ranger series. Our current line of Bomb Jammers serve to defend against current threats of radio activated weapons. We install IED Jammers in many countries. 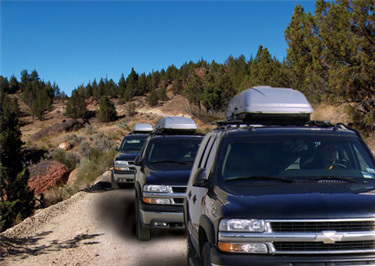 While in-country, we can explain how our Convoy Jammer solution works. Our professional RF Technology Team members are able to give an overview of the defense capabilities for small and large groups of vehicles traveling in a convoy. Those individuals use the Bomb Jammer ™ line of IED Jammers to prevent radio detonators from receiving their on-command detonation signals. What is involved in a Convoy Protection Security Assessment? Those seeking our advice either come to our office for a consultation, our factory for a demonstration, or bring an RF Technology Team Leader to the country seeking Electronic Warfare Defense Technologies for an on site review of the region. There, we can explain what is involved, the strengths of our technologies, and the limitations of radio frequency interoperability among other radio communication telemetry during RF Jamming operations within a convoy scenario. Our extensive knowledge on the subject of RF Jamming is helpful to those who have little to no understanding of what is involved in Convoy Protection operations. We are able to explain in basic terminology how our systems work, why they function the way they do, where they work well, and what to expect once RF Jamming commences. For more information on our Convoy Jamming Systems in relationship to how they can best serve your Security Requirements, Contact Us.